The guided-missile destroyer USS Dewey returned to Naval Base San Diego Monday following a four-month deployment. The crew members conducted routine patrols, and performed maritime and theater security missions in the western Pacific Ocean, according to the Navy. 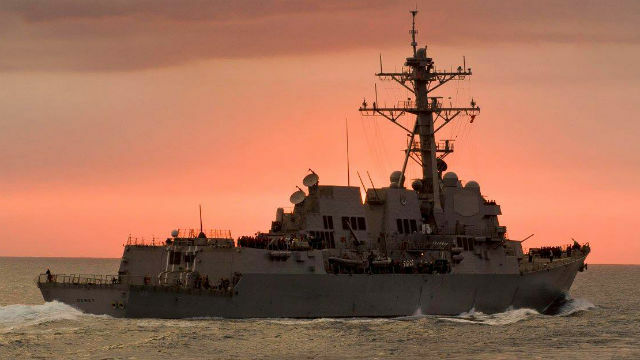 They also took part in several exercises with the Japanese military and assisted the destroyer USS Fitzgerald after the latter vessel collided with a container ship June 17 near Japan. On July 7, Cmdr. Claudine Caluori, the Sterett’s skipper, announced that her vessel’s deployment was being extended for about one month. The ship recently completed an exercise with the Australian Navy.